This document is posted for your reference by Sassy Cakes Inc. and Merchant Doodle Inc., collectively referred to hereinafter in this document as: “we”, “us”, “our”, “our page”, “our pages”, “our Site”, “our Sites”, “this site”, “this sites”, “the Site”, “the Sites”, and/or Sassy Cakes Inc. and Merchant Doodle Inc.
We have created this privacy statement for Sassy Cakes Inc. in order to demonstrate our firm and continuing commitment to the privacy of personal information provided by those visiting and interacting with Sassy Cakes Inc. and SassyCakesNaples.com. We hold the privacy of your personal information in the highest regard. The following discloses our information gathering and dissemination practices for our website(s) and e-commerce store(s). 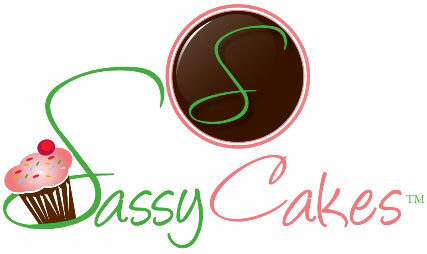 Our Sites, this site, and Sassy Cakes Inc. are completely committed to protecting your privacy and security in every way possible. We control this site from offices in the United States of America. We do not represent that materials on our Sites or this site are appropriate or available for use in other locations. Persons who choose to access our Sites or this site from other locations do so on their own initiative, and are therefore responsible for compliance with local laws, if and to the extent that local laws are applicable. As such, we are not responsible for the practices employed by websites, brands, and/or companies linked to or from our sites or this site, or the information or content contained therein. Often links to other websites are provided solely as pointers to information on topics that we think may be useful to users of our sites or this site. When you visit our site you may provide us with two types of information: (1) personal information you knowingly choose to disclose that is collected on an individual basis and (2) website-use information collected on an aggregate basis as you and others browse our site. We collect your information in order to record and support your participation in the content(s), newsletters, products, and programs you request and/or purchase from us. Visitors to our Sites and this site can engage in many activities without providing us with any personal information. To participate in other activities such as an online raffle, an online give-away, an online sweepstakes, or an online collection or online donation for an organization or cause, we may ask you to provide certain personal information about yourself by filling out and submitting online form(s). It is always completely optional for you to engage in these activities. If you decide to participate in these activities, we may ask that you provide us personal information such as your first name, your last name, your mailing address, your ZIP code, your e-mail address, your home telephone or cell-phone number, your credit card processing information, and/or other personal information. If you do not provide the mandatory information required to participate in the activity, you will not be able to participate in that activity. In all cases we collect personal identification information from you only if you voluntarily submit such information to us. This information is collected in aggregate form without identifying you or any user personally or individually. We may use this aggregate, non-identifying statistical data for statistical analysis, marketing, or similar promotional and advertising purposes. This data is often tracked by us and/or our technology services provider by using “cookies” during your visit. HOW WE USE INFORMATION PROVIDED TO US? Broadly speaking, we may, can, and do use personal information for the purposes of administering our business activities, providing the products and services you request, to process payments, to monitor the use of all services, our marketing, our email campaigns, our promotional efforts, and to improve our content and service offerings, and customize our site’s contents, layouts, and services, and for any and all other lawful purposes. These uses improve our site and assist us in better tailoring our site to meet your needs. Furthermore, such information may be shared with others on an aggregate basis. Personally identifiable information or specific business information will not be shared with outside parties, except as required by law. Occasionally, we may also use the information we collect to notify you about important changes to our site, new services, and any special offers we think you may find valuable. You may notify us at any time if you do not wish to receive these offers by emailing us at the link provided in the email or newsletter you received. We also may use DART cookies for ad serving through Google’s DoubleClick, which places a cookie on your computer when you are browsing the web and visit a site using DoubleClick advertising (including some Google AdSense advertisements). This cookie is used to serve ads specific to you and your interests (”interest based targeting”). The ads served will be targeted based on your previous browsing history (For example, if you have been viewing sites about visiting Las Vegas, you may see Las Vegas hotel advertisements when viewing a non-related site, such as on a site about hockey). DART uses “non personally identifiable information”. It does NOT track personal information about you, such as your name, email address, physical address, telephone number, social security numbers, bank account numbers or credit card numbers. You can opt-out of this ad serving on all sites using this advertising by visiting https://www.doubleclickbygoogle.com/. You can chose to disable or selectively turn off our cookies or third-party cookies in your browser settings, or by managing preferences in security programs for example such as Norton Internet Security. However, this can affect how you are able to interact with our site as well as other websites. This could include the inability to login to services or programs, such as logging into accounts or forums. We do not share, sell, lend, or lease any of the information that may uniquely identify a subscriber (such as email addresses or personal details) with anyone except to the extent it is necessary to process transactions, facilitate shipping, or provide services that you have requested. From time-to-time our site requests information from users via surveys and/or contests. Participation in these surveys and/or contests is completely voluntary and the user therefore has a choice whether or not to disclose this information. Information requested may include contact information (such as name and shipping address), and demographic information (such as zip code, age level). Contact information will be used to notify the winners and award prizes. Survey information will be used for purposes of monitoring or improving the use and satisfaction of our sites. This site allows any visitors to subscribe to receive future messages or services and to unsubscribe so as to not receive future messages or services. After unsubscribing we will discontinue sending the particular messages or services as soon as is technically feasible. You may request access to all your personally identifiable information that we collect online and maintain in our database by emailing us at the address provided on the contact page of this site or our Sites. Children, minors, or anyone under 18 years of age are not eligible to use our services unsupervised and we ask that children (under the age of 18) do not submit any personal information to us. If you are a minor under the age of 18, you can use this service only in conjunction with permission and guidance from your parents or legal guardians. In the event that the web site (or a substantial portion of its assets and/or services) is bought, sold, or otherwise acquired, your information could be considered part of those assets, and may be part of those assets and/or services that are transferred. Please note that your information will be stored and processed on our computers in the United States of America. The laws on holding personal data in the United States may be less stringent than the laws of your Country of residence or citizenship. To prevent unauthorized access, maintain data accuracy, and ensure the correct use of information, we have put in place appropriate physical, electronic, and managerial procedures to safeguard and secure information collected by our sites online.